One great advantage of a double tank-top portable heater is the amount of control you have over it. You can choose to use one or two burners at a time, and you can also choose from different heat settings. Enter the Mr. Heater F242655 MH30TS. This outdoor heater has all the qualities we’ve mentioned. It connects to a 20-lb. tank, and as advertised, it’s CSA certified. But is it any good? Find out in this Mr. Heater F242655 MH30TS double tank top heater review. Let’s get started by giving you a quick rundown of this heater’s main features. – 8,000 to 30,000 BTUs. 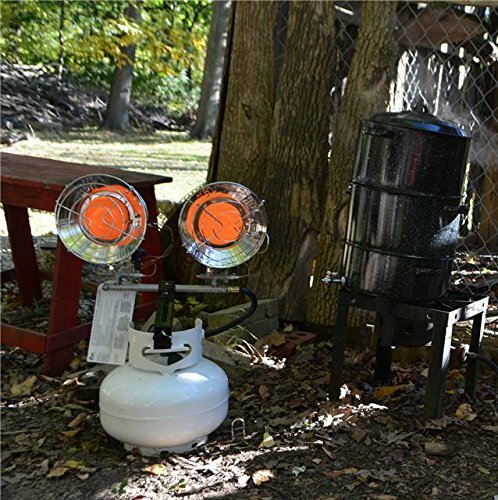 This Mr. Heater outdoor heater doesn’t produce as much heat as other models such as the Mr. Heater F242540, a one-burner tank-top that can put out heat to up to 45,000 BTUs. – Multiple Heat Settings. 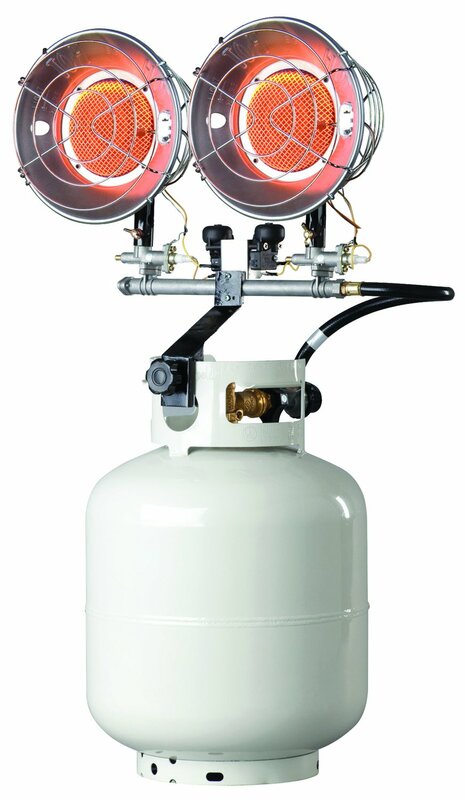 This outdoor heater is equipped with a Hi-Med-Low regulator. It also comes with multiple heat settings: 10, 12.5, 15, 20, 25, 30,000 BTU’s. – Run Time. Different heat settings require different amounts of propane and produce different amount of heat. Total run-times for a 20-lb. tank are also difference. According to the manual, the Mr. Heater F242655 MH30TS should give you up to 14 hours of heating time when the regulator is set to High. When at the lowest setting, expect up to 43 hours of run time. – Automatic Safety Shutoff. If the heater fails to operate for any reason (e.g., accidentally tipped over), the unit will automatically stop. – Weight. This heater weighs 40 lbs. Here’s a summary of what previous buyers have experienced with this tank-top heater. – Heating Performance. This would definitely depend on the situation outdoors. One person, however, shares that it can take about 30 minutes to raise the temperature of a workshop shed from 45 degrees to about 65 degrees. Another person says that as long as it’s not a windy day morning or evening, there’s plenty of heat to “keep 30 degrees at bay” during the winter season. Can you rely on this heater during a power outage? Absolutely! One man says he has experienced losing power during a hurricane, and the Mr. Heater F242655 MH30TS had solved their heating problem. – Usage. This is easy to use. One person said it “connects easily to tank.” The burners are a big plus because they’re multi-directional. They can also be used independently. – Durability. 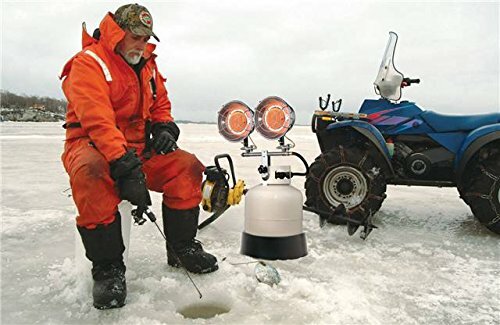 Not all buyers had positive things to say about the quality of this two-tank propane heater. Several people said that after only a few uses (or after a few months), parts such as a valve fell off. When it works, the Mr. Heater F242655 MH30TS is one reliable outdoor heater. It can be used for tailgating, sports practices, or just lounging at your patio during the winter season. It can also solve your heating problem during a long-term power outage. But to end this review, here’s our recommendation. Purchase this heater with reservations. It’s hard to ignore the issues raised by several buyers on its quality.